Nintendo has no intention of changing its policy for established titles, Satoru Iwata claims. Satoru Iwata, Nintendo's CEO, has previously spoken out against the free-to-play model, but it would seem, from recent comments to Japanese newspaper Nikkei, that he has changed his tune. Free to play is doable, claims Iwata, at least for certain projects. "For new titles with no established base," says Iwata, "if, in the process of development, we found it to suit the free-to-play model, we might follow that route, or we might do something like 'cheap-to-play'." This is a somewhat startling change from the man who previously used phrases like "we are going to destroy the value of the game software" when discussing the free-to-play option, and certainly his previous statements gave no indication that a compromise was possible. That said, Nintendo's financial history since Iwata's original statement has not been stellar. This may have prompted Iwata's conclusion that a change in sales methods is more important than his personal preferences. 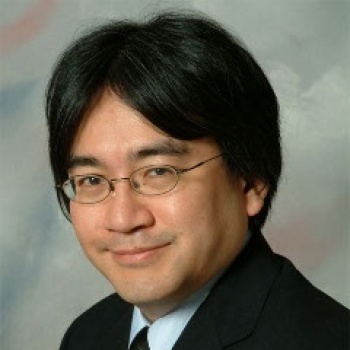 "Our sales methods have been freed up and I have no desire to extinguish that freedom," Iwata now says. It doesn't follow that Mario titles and other established Nintendo brands will go the free-to-play or paid DLC route. "People trust their interesting-ness," Iwata says, and so there are enough people out there willing to pay full price for a Mario title that other sales options don't have to be considered. However even then Iwata seems to flirt with the idea of paid DLC options. "This is separate from say, having something where because there are people who want more stages to play on in Mario games, we will create new courses for those people and charge for them," Iwata adds. "We have already begun this process with some of our titles."